IS meanwhile controls a large swathe of territory to the east and north-east of the city, once Syria’s commercial and industrial hub. 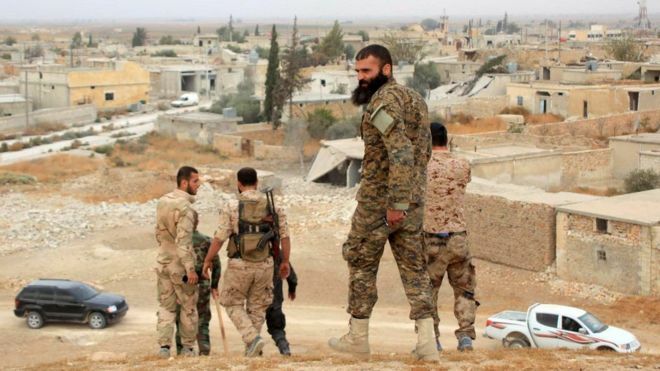 Aleppo and its surrounding province have seen heavy fighting since the army – backed by Russian air strikes, fighters from Lebanon’s Hezbollah movement and Iranian militiamen – launched an offensive on rebel-held areas last month. That severed the army’s only supply route into the western half of Aleppo and reportedly caused sharp rises in the prices of basic goods. But on Wednesday, state television reported that army units had regained control of the road “after eliminating a number of Daesh [IS] terrorists” and that it would reopen on Thursday. 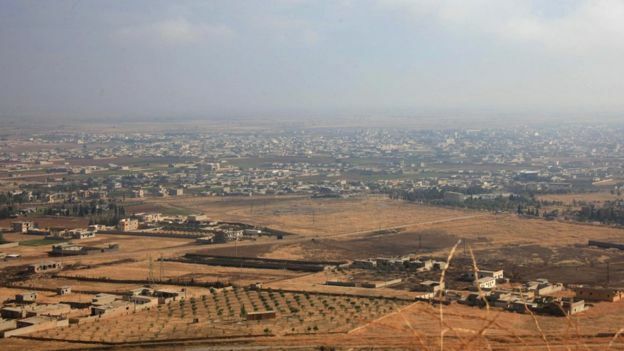 Col Steve Warren, the spokesman for the US-led international coalition against IS, told reporters that 80 IS militants had been killed in the battle in the al-Hawl area, which involved around 1,000 SAC fighters taking on several hundred militants. The SAC fighters were armed with ammunition supplied by the US at the beginning of October, Col Warren said, adding that they “showed us something here, and we are pleased by that”. 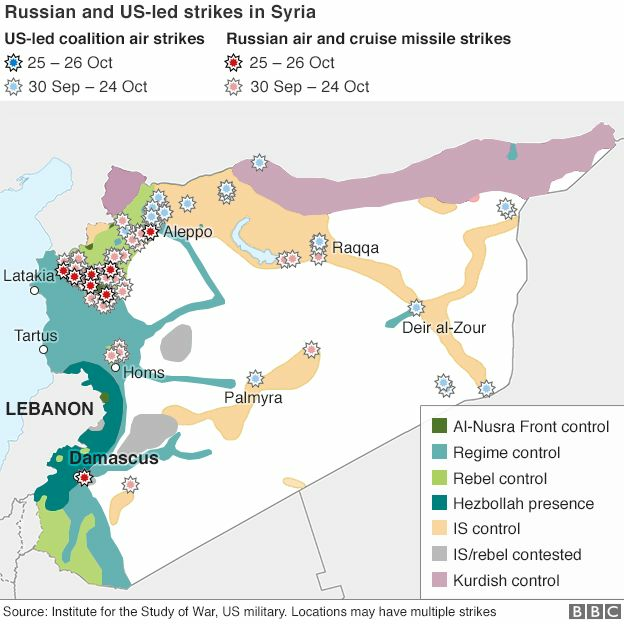 Meanwhile, a senior US diplomat said that 85 to 90% of Russian air strikes in Syria since the end of September had hit the moderate Syrian opposition and killed civilians in the process, despite Moscow “cynically” claiming that they were focused on “terrorists”. 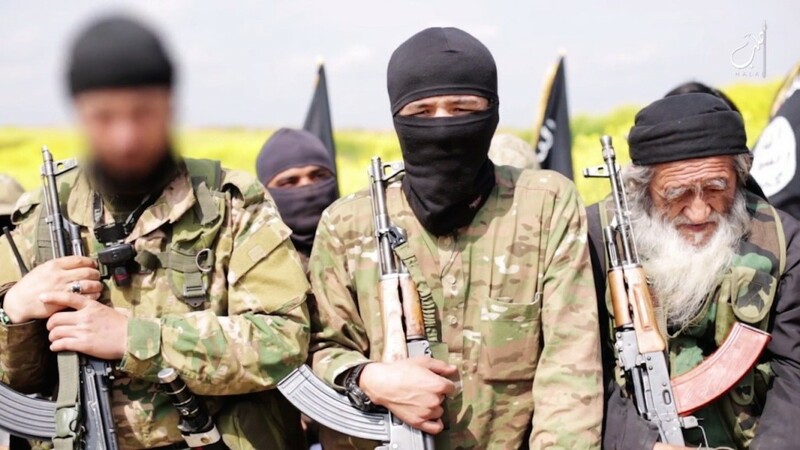 Assistant Secretary of State for Near Eastern Affairs Anne Patterson told a Congressional hearing that Russia’s “primary intent was to preserve the regime” of President Bashar al-Assad, and not to combat IS and other jihadist groups. 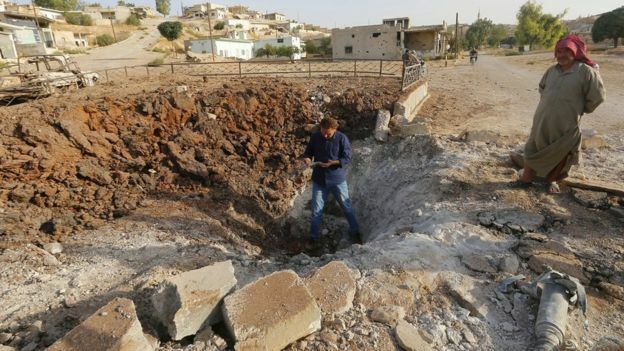 Testifying alongside her, Assistant Secretary of State for European and Eurasian Affairs Victoria Nuland said Russia had also begun “fielding its own artillery and other ground assets around Hama and Homs”, two cities in western Syria.